A fresh four-part collection of songs and ballads, with words, music and chord symbols. Includes photographs from the famous Father Brown Collection and an introduction to each song. (Waltons Irish Music Books). This beautiful series, each including 30 popular songs and ballads, is illustrated with photographs from the famous Father Brown Collection. A great addition to any Irish-lover's repertoire! 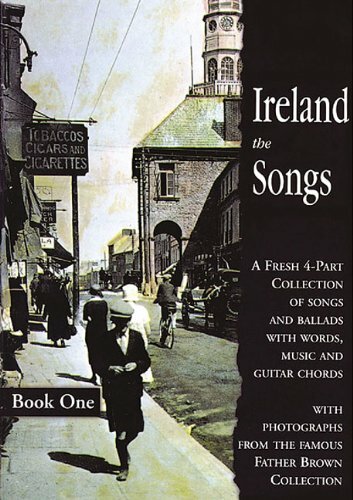 Includes: Arthur McBride * Avondale * The Band Played Waltzing Matilda * The Black Velvet Band * Blackwater Sider * Cavan Girl * Danny Boy * Easy and Slow * Fiddler's Green * The Galway Races * Monto * She Moved Through the Fair * Ride On * Peggy Gordon * Salonikal * Spancil Hill * Slieve Gallion Braes * Van Diemen's Lands * and many more.